Now U C Me, Now U Don't documents part of a 3-hour performance at and around the Pearce Institute in Govan as part of the live art festival BUZZCUT in 2017. 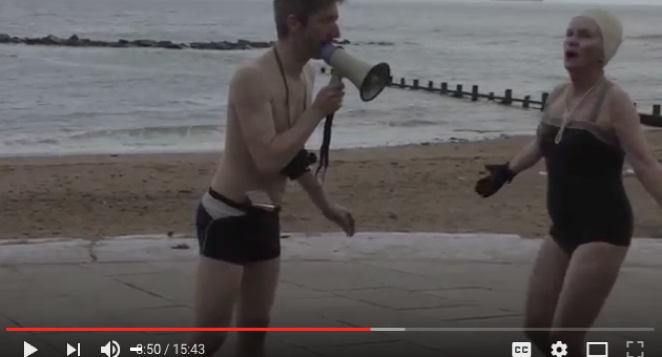 Silver Swimmer, documents a performance by Gerry O'Brien and me on Aberdeen Beach as part of 'DA DEE AT', the 2016 Live Art Festival curated by Karolina Szpyrko and Peter McCrae. The film was made by Felipe Madureira. 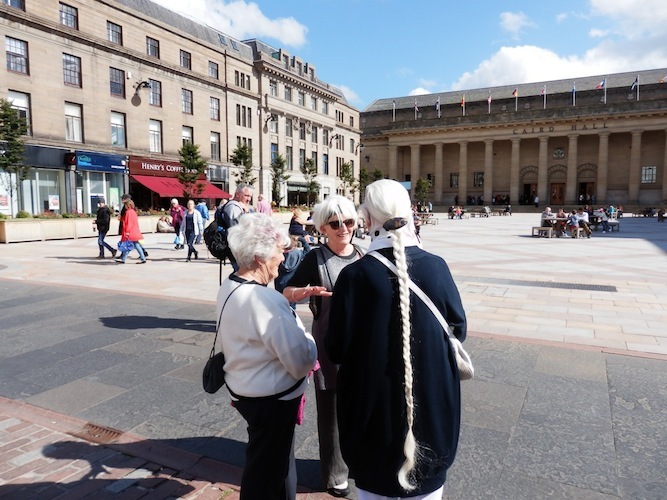 Silvery Tay-Haired Women, documents an event staged at City Square, Dundee, on August 29, 2015. It was part of Dundee Commons Festival. Thanks to Beth Jo Savage for making the film. 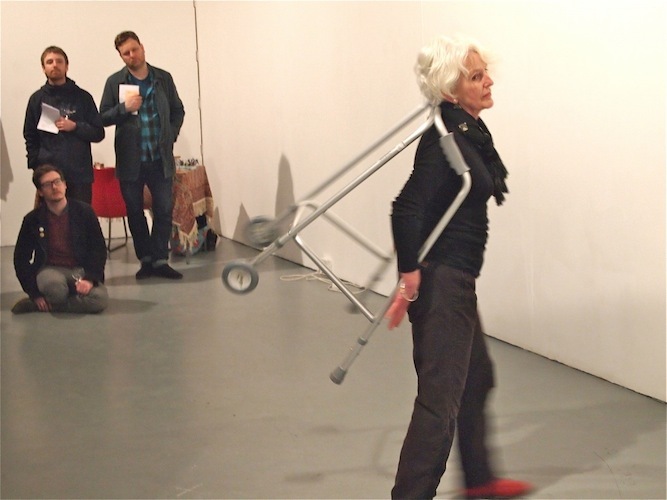 Zimmertime was a performance in April 2014 as part of 'Performing Now', Generator Projects, Dundee. 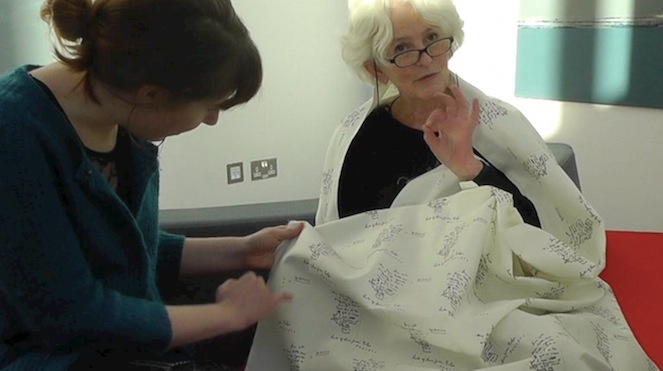 Letter was filmed in March 2013 in the foyer of the Tower Building, University of Dundee. 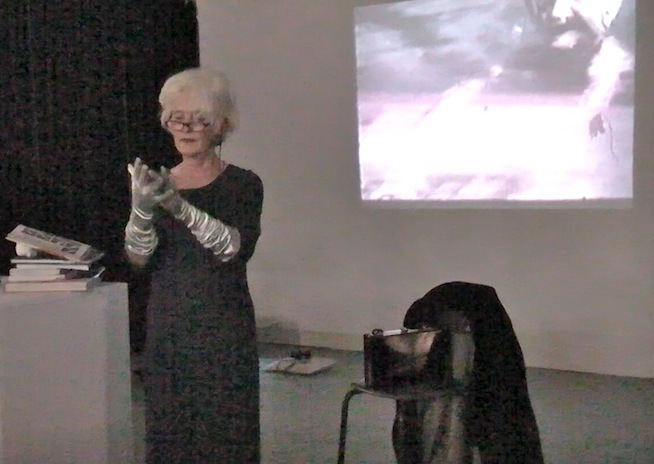 Gloves was filmed in December 2012 as part of '12/12/12', an interim MFA: Art, Society and Publics show, DJCAD, Dundee. Swimming was edited from home movie footage shot by my father, circa 1960.